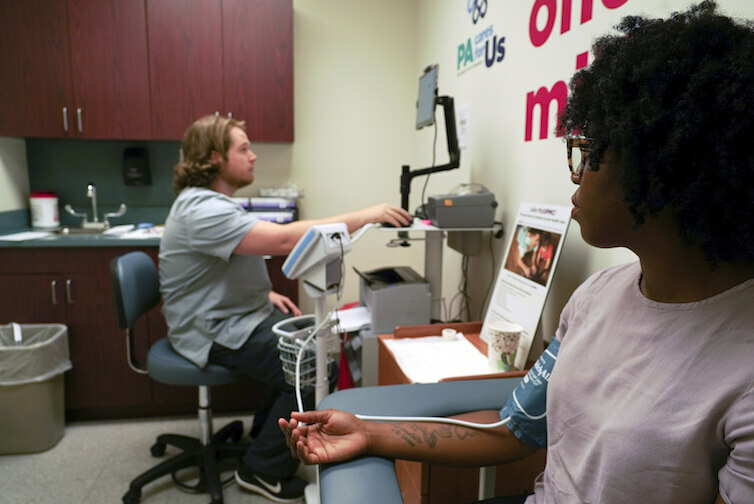 Persistent disparate health outcomes between black and white Americans are a major contributor to the United States’ poor performance on international measures of health. These disparities cannot be explained by socioeconomic status alone. While health outcomes generally improve with socioeconomic status, the disparity in health outcomes between black and white Americans not only persists but often worsens with higher socioeconomic status. In my new working paper, “Post-racial rhetoric, racial health disparities, and health disparity consequences of stigma, stress, and racism,” I explore this paradox, placing it within the context of neoliberal rhetoric and the political narrative that the United States has entered a “post-racial” era, and I propose a new framework for empirical research to explore and explain this trend. One example is that the racial differences in infant mortality actually worsen with higher levels of both education and income. The infant mortality rate for all white women, regardless of education, was 5.07 per 1,000 from 2007 to 2013; for black women, the corresponding figure was 10.81 per 1,000, a ratio of 2.13. When you break down infant mortality rates by education, you find that disparity actually worsens at higher levels of educational attainment. While the infant mortality rate for babies born to white women with at least a bachelor’s degree is 3.36 per 1,000, for babies born to black women with the same level of education the rate is 7.5 per 1,000, which is still more than the rate for babies born to white women with less than a high school degree. The ratio of black to white infant mortality rates for babies born to a mother with at least a bachelor’s degree is 2.23, the highest ratio for any level of educational attainment. (See Table 1). In fact, the ratio rises fairly steadily for each level of educational attainment. This pattern is not limited to infant mortality. An analysis of health data by Ahmedin Jemal and his co-authors found this pattern of mortality disparities with rising levels of educational attainment across many major disease types, including cancer, heart disease, stroke, and HIV-related causes. That disparities in health outcomes increase with educational attainment flies in the face of American political rhetoric that emphasizes personal responsibility and hard work. This neoliberal rhetoric, combined with a narrative that the United States is now post-racial, places responsibility for continued disparities in outcomes squarely on individual choices and actions and ignores structural factors and an environment of continuing racism. Personal responsibility, hard work, perseverance and—especially—education are supposedly all that one needs to achieve better life outcomes, regardless of where you come from, how much your parents earned, or the color of your skin. But the evidence contradicts that rhetoric. Across health, wealth, employment, and education, racial disparities persist, regardless of socioeconomic status, in all four outcomes with the exception of one: educational attainment. Ironically, education is an indicator in which blacks perform relatively better than whites once family socioeconomic background is controlled. So, what explains the increasingly disparate health outcomes for more highly educated black Americans? Research on racial health disparities has largely focused on socioeconomic status as an explanatory factor, as William W. Dressler and his co-authors point out in their literature review of models of racial health disparity. According to this theory, it is because black Americans are overrepresented in lower socioeconomic strata that they have worse health outcomes. However, as we have just seen, even when controlling for socioeconomic status, not only is there still a disparity in health outcomes, but the racial disparities often worsen with more education. A new framework is needed to analyze the paradoxical health outcomes for high socioeconomic black Americans. Research by Sherman James offers a starting point for this new theoretical framework: “John Henryism,” a reference to the fable of the black railroad worker who beats a machine in a race to dig a tunnel only to collapse to death from his overexertion. In this framework, the disparate health outcomes of black Americans—especially related to hypertension—are analyzed within the context of the disproportionate race-related stress they face. Blacks from lower socioeconomic strata are presumed to be chronically exposed to psychosocial stress such as threat of job loss, having to make ends meet, and social insults related to race and class, among other factors. They have to exert considerable energy on a daily basis in order to cope with these conditions of uncertainty and corresponding high anxiety. James developed a scale, which he labeled John Henryism, to quantify this “effortful coping,” which measured efficacious mental and physical vigor, a strong commitment to hard work, and single-minded determination to succeed. In a series of experiments, James found that the combination of high John Henryism ranking and low socioeconomic status was associated with high blood pressure. When examining within races, James found that there was very little difference in blood pressure within socioeconomic strata among whites, regardless of their John Henryism scores. However, among blacks, those with low socioeconomic status and high John Henryism scores had the highest blood pressure. The unfortunate irony is that these findings suggest that blacks who work the hardest to cope with a stressful situation experience worse health outcomes. While James only analyzed the intersection of socioeconomic status, health, and “effortful coping” within race, his work could provide a framework for further analysis and empirical studies into the paradox of worsening health disparities for black Americans of higher socioeconomic status across race.